Today at 3 PM, PRISM's Matthew Levy and composer/pianist Uri Caine are guests on WMBR's New Edge Program with host Ken Field to discuss the Quartet's new release, "The Book of Days." Listen online at https://www.wmbr.org/ or at 88.1 FM if you're in the Cambridge, MA area. 5 days 21 hours ago. “Every musical instrument tells many stories. 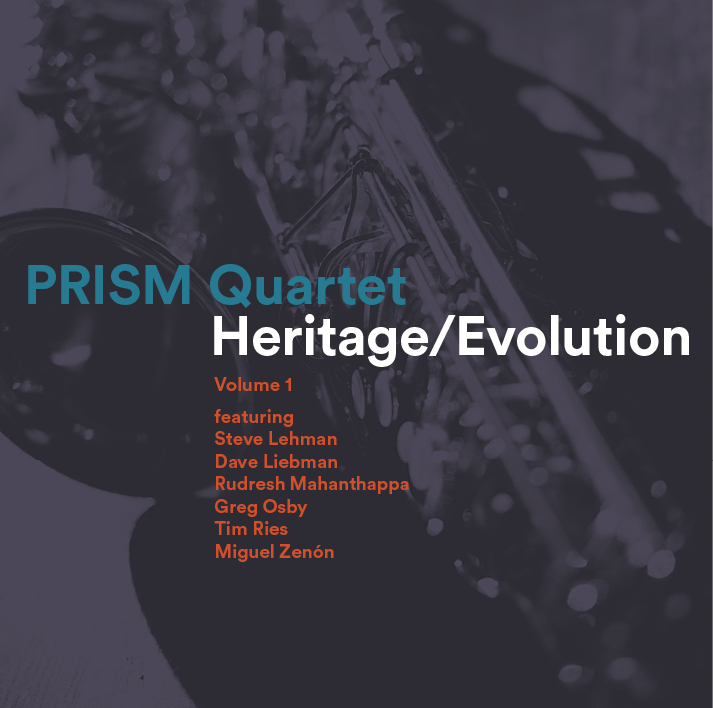 In Heritage/Evolution, the saxophone takes center stage; its fascinating dual history in classical music and jazz leads PRISM and our guest artists through a collaborative process of discovery.” —Matthew Levy, PRISM's co-founder, executive director and tenor saxophonist. Heritage/Evolution, Volume 1 is a collection of distinctive pieces—a new fabric of saxophone repertoire—that draws on the instrument's cross-cultural heritage, blending jazz with Western classical music, and an eclectic range of folkloric traditions. "If you seek immersion in immaculate articulated sounds from across the saxophone spectrum, this album is for you. It's hard to imagine any student of the instrument not being simultaneously enraptured and intimidated by the high standard of musicianship evident on this double CD. Prism's members are all formidable players, capable of anything from gleaming, vibrato-free purity to elongated rhythmic passages. ... [T]he entire album is like sitting down to a multi-course meal of double chocolate cake."